1) How long have you been practicing Pilates? I’ve been practicing Pilates since 2014. 2) What made you want to teach Pilates? My Pilates addiction took over after reaping the benefits of the work I put in and realising that I didn’t have to be in pain. I wanted not only my own life, but other people’s lives to be enhanced. I was unsure in the beginning, not really knowing what Pilates was. Then I discovered this magical moment and wanted to educate people about the fundamentals of Pilates and what it could do for them. Pilates is my passion! 3) What do you like about working in Remedy? Where to begin? The incredible staff that have so much experience and knowledge, they make you feel like part of a really strong team. A well equipped studio with a wonderful ambiance and most importantly our super clients, where would we be without them? 4) What do you feel is the most beneficial exercise for you? I cannot highlight the importance of footwork on the Reformer enough. It’s so important to start with a stable foundation from the feet up. 5) Sum up Remedy in 3 words. I started Pilates in 2013, it soon became a weekly ritual for me. I loved the mind body connection that I got from Pilates, it was one of my favourite hours of my week when I was attending class. Some of the obvious benefits from Pilates were really paying off for me. I was working in the Corporate World doing a lot of driving and sitting at a desk and couldn’t believe how much Pilates helped with my posture and lower back pain from the lifestyle I was leading. Based on all of this, combined with a career change I wanted to share this knowledge and feeling with others, to promote the benefits of Pilates and how it contributes to overall wellbeing. The main thing I love about working in Remedy is the people, from the amazing team to the wonderful clients, old and new, that come through the door on a daily basis. Everyone comes in the doors as they want to be here and most importantly leave with a smile on their faces. That really is something money can’t buy! One of my favourite exercises would be have to be Shoulder Bridge. There are a number of benefits with this exercise, working a number of areas of the body, that sometimes don’t get enough movement or activity, like those glute muscles which are so important for many functions and movement of our joints like those hips! With Shoulder Bridge, this is an exercise that can be challenged in many ways too. I have been practicing since around 2005, and I began teaching in 2013. Fell in love with the flowing body movement of Pilates and how it seemed to target muscles I didn’t know I had! I knew from the start of my practice that one day I would train to teach and share my passion for this wonderful mindful discipline, as they say do what you love and you’ll never work a day in your life! Without question the people, both colleagues and clients, a more wonderful bunch of people you could not meet, feel very privileged to work there. Bridge covers so much and love it alone for lengthening the spine but add in glute strengthening, pelvic and shoulder stability, hip flexor stretching and you’ve got a pretty comprehensive exercise! 5) How long have you been a massage therapist? 6) How do you feel massage benefits your clients? Sports Massage or Deep Tissue Massage helps them to overcome sometimes locked and painful areas of their bodies, releases muscle tension and inflamed nerves, increases blood flow to those same areas that have become stuck giving better range of motion and freedom from pain. Holistic massage is great way of releasing tension and totally relaxing the mind, body and spirit. 7) Sum up Remedy in 3 words. 1)How long have you been practicing Pilates? I’ve been practicing Pilates on/off for 3 years. I was motivated to start teaching for a few different reasons. 1 being my own back pain and as a physio, understanding that the best way to improve my back pain and protect my spine is to build my core strength. 2, I wanted to do the course to feel further equipped to help my patients with their core rehabilitation- it is a crucial part of my treatment process with almost every patient. 3- I love to exercise and really believe in all it’s benefits – passing that on to others is something I’m passionate about. I’ve loved working in Remedy for the past few months. The ethos of the studio is something that I really believe in and relate to. It’s a personal and holistic approach to exercise and wellbeing where people of all abilities are welcome and encouraged- and everyone here is so lovely ! Staff and clients alike. My favourite exercise to do is the single leg stretch. But my favourite exercise to teach is the side series- I always make sure to include this as most of us are weak in the hip stabilisers – which are a group of very important muscles that help with back, hip, knee and even foot pain. Rachael Davis, BSc (Hons) Sports Rehabilitation Therapist, Pilates Specialist. 1. How long have you been practicing Pilates? Since the year 2000, teaching since 2003. 2. Why did you decide to set up Remedy? After working in many private practices and studios abroad as well as Ireland, I always felt like there was something missing. Addressing a person’s lifestyle rather than trying to fix the issue made more sense to me, and from experience is what works. I love people and listening to the wisdom of their life stories. Having built relationships with clients I felt that exercise was more to them than just keeping fit. It was a way of life, a great coping mechanism to deal with the physical and emotional bumps in life. I established Remedy in 2011 to intertwine the physical aspect of keeping fit and well with a philosophy of keeping mindfully well! Remedy is about setting yourself a goal, no matter how big or small, regardless of age or ability, and step by step achieving it. I initially had the idea of becoming a nurse but had a change of heart when I became more involved with exercise. I studied Applied Anatomy and Physiology in Ireland and then graduated with a BSc (Hons) degree in Sports Rehabilitation from Manchester, UK. Following my passion for health and wellbeing I specialised in Pilates and in 2003 had clinical research published on Pilates and the management of back pain. From there, conducting and witnessing the research first hand I couldn’t get enough of Pilates. 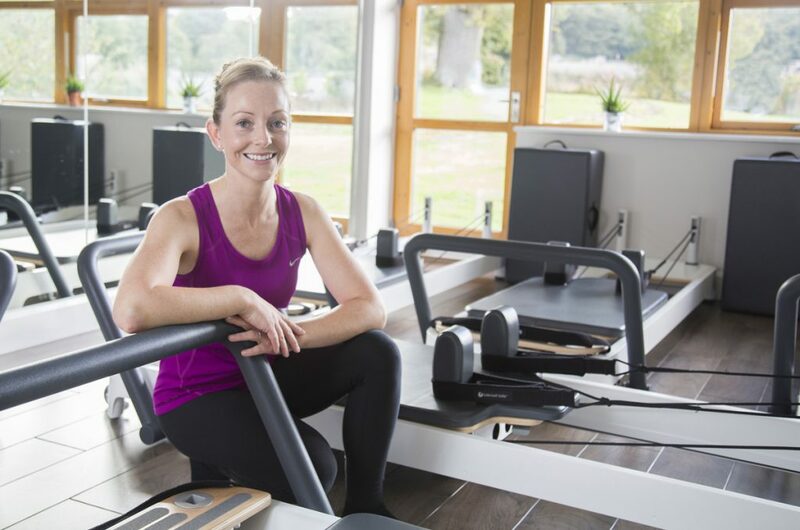 I trained with many different Pilates schools including Balanced Body, Bodyfirm Pilates Ireland, Kinetic Control, Body Control Pilates, Pink Ribbon Pilates, the Australian Physiotherapy & Pilates Institute, and Power Pilates USA. I constantly keep my education up to date and absorb new tehcniques into our practice. You never stop learning! 4. Any other claims to fame? I worked with World Champion Irish dancer Layla Anne Healy and helped prepare boxing legend Katie Taylor for her Olympic Gold Medal win in 2012. I also worked with Stoke City Football Club in the UK. I feel helping someone achieve a goal, regardless of age or ability, and witnessing the hard work and determination to get there is as rewarding as working with an athlete. The feeling of happiness on both sides, created by the work they put in, and the support we provide is unparalled. I have received beautiful handwritten letters where hearts open up and gratitude pours out. There’s no magic wand, it is just sheer determination. 5. How do you feel Rehabilitation Therapy and Pilates help your members? My journey is also a personal one. As a very active teenager I always seemed to suffer unexplained pain. After my own experience with Physiotherapy I realised I was hypermobile, or in my era ‘double jointed’. The only way I found I could relieve pain was to follow a specific strengthening program, which was Pilates. This totally transformed my life as now I can move, run and play sport more comfortably, with more strength and more motivation. The new buzz word is “Pre-habilitation”. In short, “prehab” means taking a proactive approach to avoiding pain and injury. You have to be fit and strong to run, walk or even just function in every day movement. You don’t run to get fit, you have to get fit to run! Remedy’s members are all about Prehab. We tailor individual plans for reaching goals with Pilates exercises to strengthen vulnerable areas, and may recommend Physiotherapy or Massage Therapy to condition and keep discomforts at bay. The mindset around health is changing for the better and Pre-habilitation is becoming the norm. We are an aging population so it is very important that we stay strong, independent and enjoy our older years. I can see this motivation in all our members, from young to older. 6. What do you love about working in and running Remedy? Our Remedy members are my inspiration; watching them strive to get the best from their lifestyle, for longer. They bring great energy to us as teachers and therapists & are keen to learn new things and understand their bodies better. It’s fantastic to have a Chartered Physiotherapist on site to check in with & a great team of teachers and therapists to share knowledge. At Remedy it’s about the whole experience. From a friendly greeting as you come through our doors to chats and advice from our experienced and personable team. Our team are naturally very caring and we build great relationships with our members. The administration side of the business can be very overwhelming. We have a fantastic practice manager dealing with admin and our staff go above and beyond while working as part of a team. I could not run Remedy without them. There is no i in Team! Remedy allows me the flexibility to spend time with my family, even if it can be a bit of a juggling act. It is important for me that my children understand what I do and that they take an interest in their health also. I am an active Mum dedicated to my family, my business and keeping physically and mindfully well. I have completed Dublin, Edinburgh and Paris marathons. I am so passionate about Pilates and feeling good that I have managed to turn that into an amazing business venture! I joined the Remedy team in the Summer of 2016, very happy to become part of an excellent and pro-active team. 1) What’s your employment background? I have a background in Art and Photography, and studied and worked in Childcare for many years. I then decided to return to study business as a mature student – and haven’t looked back since! 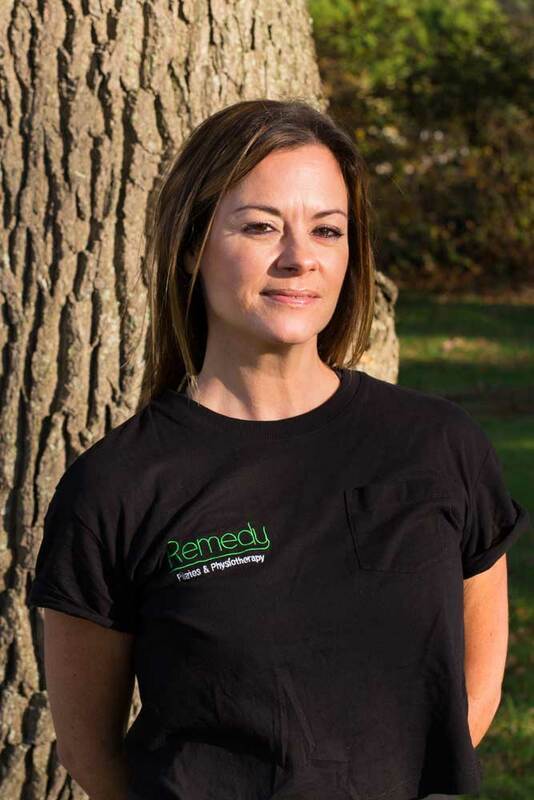 I combine my skills to manage the Remedy practice as well as use my creative side to showcase all of the services Remedy has to offer. 2) What do you like about working in Remedy? I genuinely love working at Remedy, as anyone can see, I enjoy meeting so many inspiring people who are working towards bettering themselves and feeling good. The atmosphere at Remedy is one I really enjoy being in, everyone is so natured and positive – staff and clients alike! 3) Sum up Remedy in 3 words. If I had to sum up Remedy in 3 words it would be – Goal-oriented, Motivational, Positive. 1) How long have you been practicing Yoga? I have been practising yoga for over 10 years. One of my first memorable yoga classes was on a beautiful peninsula overlooking the sea in Goa in India with a great teacher called Raj. The peace and tranquility of the setting made the powerful classes resonate even more and I started practising asanas myself and attending more classes when I returned home. 2) What made you want to become a Yoga teacher? The amazing feeling I get in my own mind, body and soul from yoga makes me want to pass on the experience to others. Remedy is a tranquil place in a lovely natural environment. The staff are all very friendly and welcoming, and they care about their clients’ longterm wellbeing. 4) What types of Yoga do you teach and how do they differ? I give Hatha Flow and Yin yoga classes. Hatha Flow tones and strengthens the body, and releases physical and mental tension to develop concentration, self-awareness and harmony within. Students learn to co-ordinate the breath with every pose. Yin Yoga is a meditative style of yoga with asanas that are held for longer periods of time (2/3 mins) with the aim of increasing circulation in the joints and improving flexibility. 5) What do you feel your clients get out of your classes? 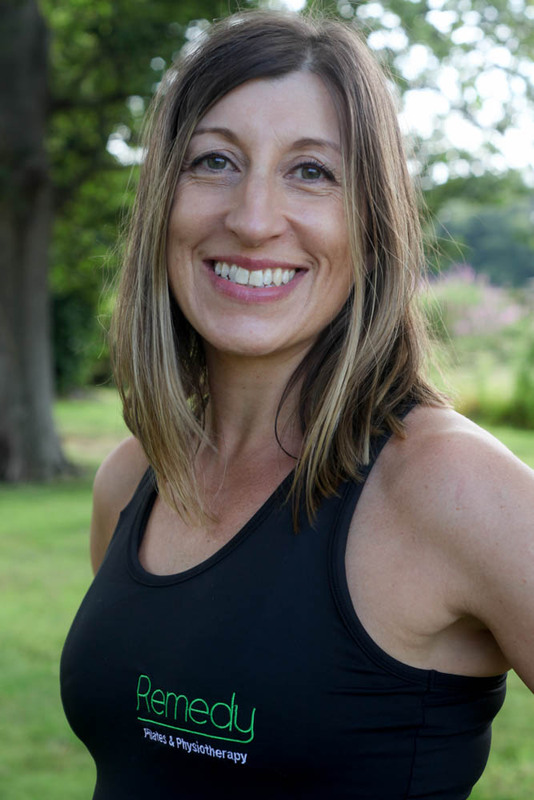 I aim to give my clients the experience of all the benefits from each of the different yoga styles I practise including strength, improved flexibility, increased circulation, concentration, self-awareness and harmony. 6) Sum up Remedy in 3 words. 1) Why did you decide to become a Clinical Hypnotherapist? My interest in Hypnosis was piqued early on after reading Joseph Murphy’s “The Power of Your Subconscious Mind”. This book teaches the reader how to quiet the conscious mind, and impregnate the subconscious mind by using positive suggestions and visualisation to change all areas of our lives for the better. After reading this book, I began a practice of putting myself into a state of self-hypnosis for about 10 minutes every day. I would relax, quiet my mind and then begin visualising a few things that I wished to bring into my life, anything from improved performance in sport to a presentation going brilliantly to being relaxed at social engagements. I tried it on everything. And when after only a week or so, things began to occur and unfold just as I’d pictured them, I was utterly astounded. After these experiences, I read everything I could lay my hands on to do with the power of our minds. 2) How long have you been a Clinical Hypnotherapist? In spite of my fascination with this area, I initially followed a more conventional path by obtaining a B.A. in Languages (U.C.D. ), followed by a few years working in Credit Control. Yet the pull of all this untapped power within us eventually won over and I went on to train as a Personal Fitness Trainer (N.C.E.F), NLP Master Practitioner, NLP Life Coach (IINLP) and more recently added a Higher Diploma in Clinical Hypnotherapy with Clinical Hypnosis Ireland and in 2008 I set up my own business, called Launching You. I am still as amazed and excited today as I was after my first client at the wonderful changes which continue to unfold as people become free to live the life of their dreams. Firstly, I love the welcoming and nurturing atmosphere at Remedy. I also greatly admire the holistic approach at Remedy. They treat the whole person both mind and body. This openness to looking at all aspects of a client’s life and wanting the very best for them is what makes them a leader in their field. 4) You help a lot of people using Clinical Hypnotherapy – if you had to choose 3 issues that you feel can really benefit from clinical hypnotherapy, what would they be? There are actually very few issues that Hypnotherapy can’t at least improve but if i were to pick just 3 key issues where Hypnosis can really help, the first one would have to be stress and anxiety. In this fast paced life, very few people are not affected by stress and a few sessions of Hypnotherapy can make a wonderful difference in regaining control and feeling more calm. The second area would be addictions. This could be anything from over eating, sugar cravings, smoking, watching too much tv, alcohol abuse and more. Again, coming back to this fast paced life we currently lead, many people are self medicating by overindulging in the above activities in order to escape reality or simply feel better. Hypnotherapy can help discover the triggers for these undesirable behaviours and free the client once and for all. And thirdly, low self esteem or low confidence. Very few people feel really good about themselves or believe that they are “good enough”. Many of these limiting beliefs stem from our early childhoods and Hypnosis can liberate us once and for all, to be the very best that we can be. Rachael has been practicing Pilates since 2000 and has a BSc (Hons) degree in Sports Rehabilitation. One of her proudest achievements was helping to prepare boxing legend Katie Taylor for her Olympic Gold Medal win in 2012. She has also worked with World Champion Irish dancer Layla Anne Healy and Stoke City Football Club. Having worked with professional sports people as well as those attending private practices in Ireland and abroad she witnessed injuries and pain resulting in many not being able to enjoy sport or day to day activities. She specialised in Pilates to help all get back to enjoy their chosen lifestyle and in 2003 had clinical research published on Pilates and the management of back pain. 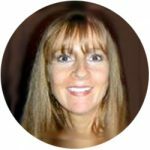 Rachael believes in addressing a person’s overall lifestyle and established Remedy in 2011 to intertwine the physical aspect of keeping fit and well with a philosophy of keeping mindfully well. 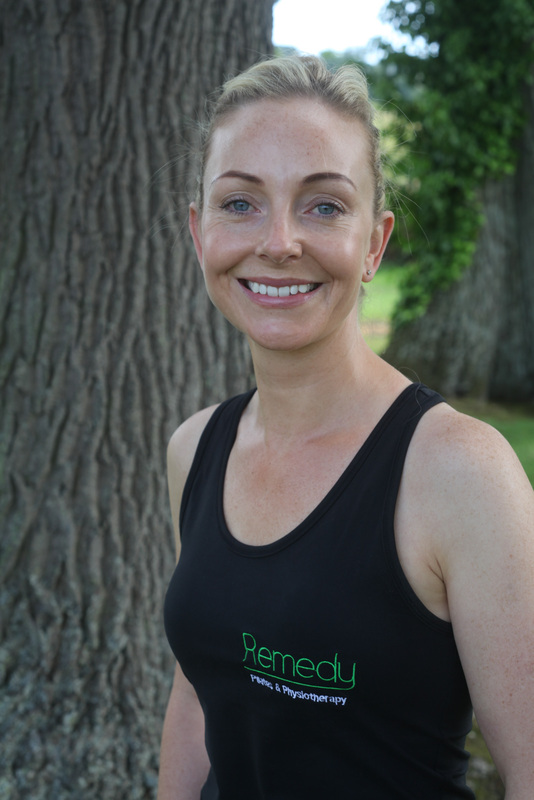 Rachael’s ethos at Remedy is about understanding individual needs, lifestyles and goals. 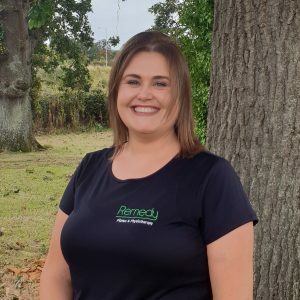 Working as part of a multi-disciplinary team Rachael ensures the Remedy team provide the education, guidance and support to help members and clientele, irrespective of age or ability, achieve their desired health and wellness goals. Roisin is a fully licensed musculoskeletal chartered physiotherapist with current membership of the Irish Society of Chartered Physiotherapists. After graduating with a 1st class honours in her BSc of Physiotherapy from UCD in 2015, Roisin moved to New Zealand to gain experience working, living and travelling abroad. While in NZ, Roisin worked as a physiotherapist in a clinic, a secondary school and with a senior men’s rugby team for 18 months. She spent a lot of time travelling and hiking around the beautiful country. During her time in NZ, Roisin also completed a certified course in trigger point Dry Needling. 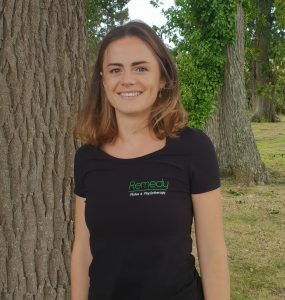 Roisin returned to Ireland a year ago, and has since been working in 2 different clinics where she has treated a varied range of acute to chronic and complex musculoskeletal conditions. She is also very interested in how lifestyle and physical pain/health are related to mental health, and strives to help patients improve their general wellness as well as a specific injury. Outside of work, Roisin enjoys being active- going to the gym, doing yoga, dabbling in sports and hiking. She is also a keen traveller, dog lover and a foodie. Deirdre has been practicing Pilates since 2005. She knew from the beginning of her practice that she would train to teach and share her passion for this mindful discipline. After working in the corporate world and desiring to lead a less stressful life she decided to become a teacher and leave the stress behind. Deirdre is also an avid runner and without Pilates would be unable to run her long distances well and pain free. Deirdre’s theory is “do what you love and you’ll never work a day in your life!”. Having worked as a Manager in the Corporate world for 15 years Carolyn needed a change. When the opportunity arose to become not just part of the team, but manage Remedy it was a perfect fit for her skills and personality. Being a fan of Pilates and a participant in classes for over 5 years it was the perfect time to take the plunge into what drives her personally and professionally and train to become a Pilates teacher. Born in Canada and having spent her life between the Great White North and Ireland, Karen was drawn to the benefits of Pilates while working in an administration role in a Pilates Studio. Taking in Pilates by osmosis she decided it was her time to shine and experience the physical and mindful benefits for herself. Attending classes and observing her progressions grow in such a short time, she was encouraged to undergo a Pilates mentorship programme training under Balanced Body. Soon Pilates became her way of life, not only for healing but for her overall wellbeing. With her friendly and caring nature, teaching others to improve comes very naturally to her. Through her own experience Karen can understand her clients’ needs and provide the guidance to ensure efficient movements and progressions, no matter what the starting point is. Orla is qualified in Personal Training and NLP Life Coaching and also has a B.A. in Languages. Her first interest in Hypnosis was piqued after reading Joseph Murphy’s “The Power of Your Subconscious Mind”. After putting herself into a relaxed state to quiet the conscious mind, she used a mixture of visualisations and positive suggestions to change the subconscious mind, to bring wonderful positive changes into her own life. From improved performance in sport to presentations going brilliantly to being relaxed at social engagements, all unfolded just as she pictured it. Orla is highly trained in Clinical Hypnosis and uses these skills to help free people from limiting beliefs and enabling them to live free and happy lives. 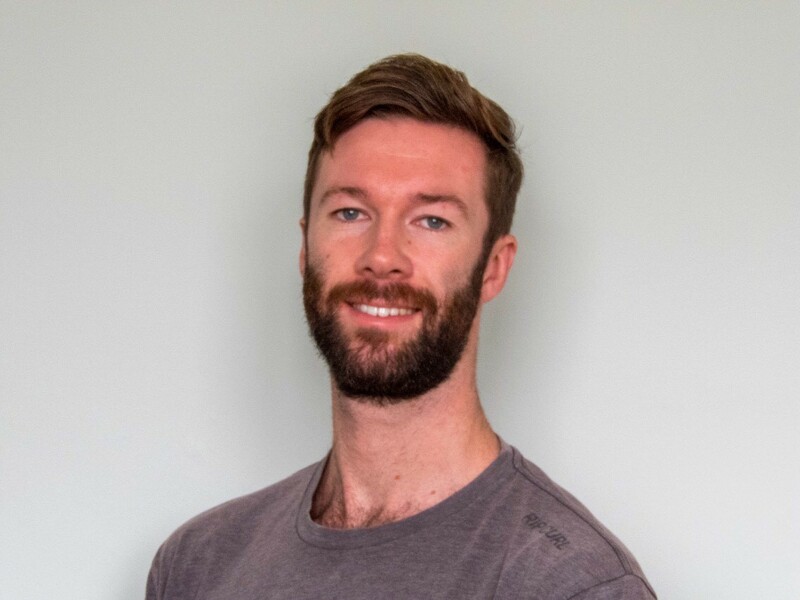 Chris spent 5 years in India, Sri Lanka and Australia developing his Yoga teaching skills as well as practicing Physical Therapy, Dry Needling and Massage. This has provided him with extensive knowledge of the human anatomy and a strong passion for helping others. Chris brings this vast experience and holistic approach to his Physical Therapy treatments and Yoga classes. Chris has a passion for surfing, travelling and photography. “I have a strong passion for helping others to improve their health and wellbeing. Yoga has personally allowed me to maintain my active lifestyle. Combining this with Physical Therapy, I have found it the perfect tool in guiding others to a more fulfilling life, not just physically but also mentally and spiritually”.